Android enthusiasts in the UK will be happy to know that two new affordable smartphones have just made their debut in the country, Archos 50c Oxygen and Archos 50b Oxygen. Both handsets come packed with more than decent specs and can be purchased for extremely affordable outright prices. For example, the Archos 50c Oxygen can be had for only £179 (€225 / $305) outright, while the Archos 50b Oxygen is now available for just £129 (€160 / $220) off contract. Given the amount for which they can be bought, the Archos 50c Oxygen is the better featured of the two, so if you're in need of a more powerful handset, then this is the device you would want to buy. Archos 50c Oxygen is equipped with a powerful 1.7GHz octa-core MediaTek MT6592 processor, which is complemented by a Mali-450MP4 graphics processing unit and 1GB of RAM. The smartphone sports a 5-inch IPS LCD capacitive touchscreen display that supports HD (720p) resolution. It also comes packed with only 8GB of storage, but users can further expand internal memory up to 32GB via microSD card slot. 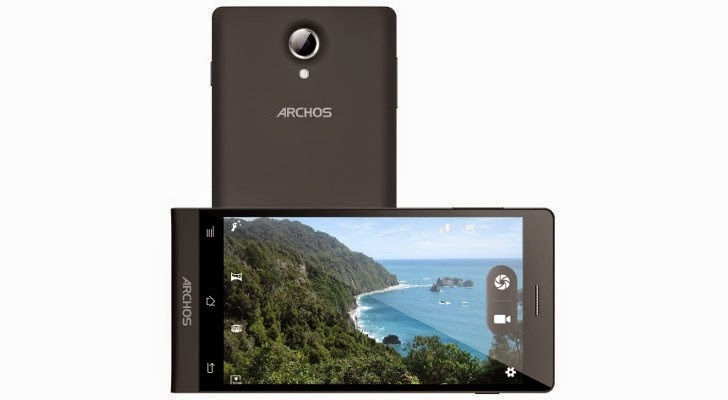 On the back, Archos 50c Oxygen has been fit with an enhanced 8-megapixel photo snapper that features autofocus, LED flash and full HD (1080p) resolution, while in the front, there's a secondary 2-megapixel camera for video calls. While the smartphone does not offer LTE support, it provides users with plenty of other connectivity options, including HSDPA (21Mbps), Wi-Fi, Bluetooth 4.0, microUSB and GPS with A-GPS support. The only downside is the fact that Archos 50c Oxygen ships with Android 4.2.2 Jelly Bean operating system out of the box, which is kind of old for such a powerful device. On the positive side, the smartphone offers dual-SIM capability. Moving on to Archos 50b Oxygen, this is a slightly downgraded version of the Archos 50c Oxygen. For example, it comes with a quad-core processor instead of the octa-core CPU powering the latter. The camera on the back has only 5 megapixels, but it comes with the same 8GB of internal memory. Archos also offers a 4GB version of the smartphone, which doesn't really matter, considering that the 50b Oxygen features microSD card slot for memory expansion (up to 32GB). Furthermore, the handset sports the same 5-inch IPS LCD capacitive touchscreen display that supports HD (720p) resolution, as well as 1GB of RAM. 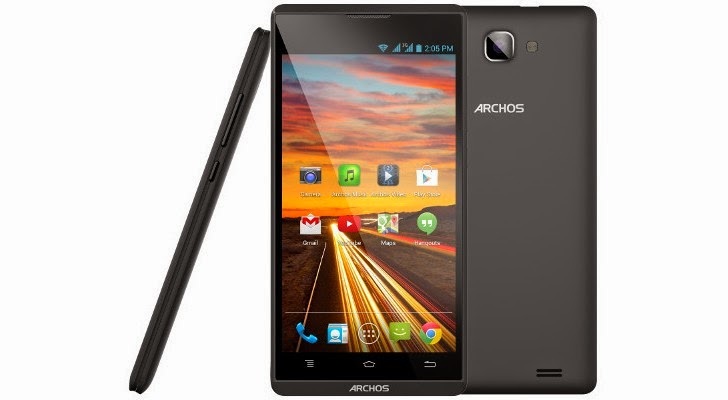 Just like its more powerful brother, Archos 50b Oxygen runs Android 4.2.2 Jelly Bean operating system out of the box and drains energy from a 2000 mAh battery.